November 2018 brought what was arguably one of the best Big Wave events in Surfing history, the WSL Nazaré Challenge 2018 and conditions were even better than anticipated. A perfect swell with off-shore wind provided the absolute ideal setup to run this competition. Bombs, Barrels and even a 10 point ride all happened went down. Then… just 3 days later and with many of the boys postponing their flights, Monday came with the “After Party”. 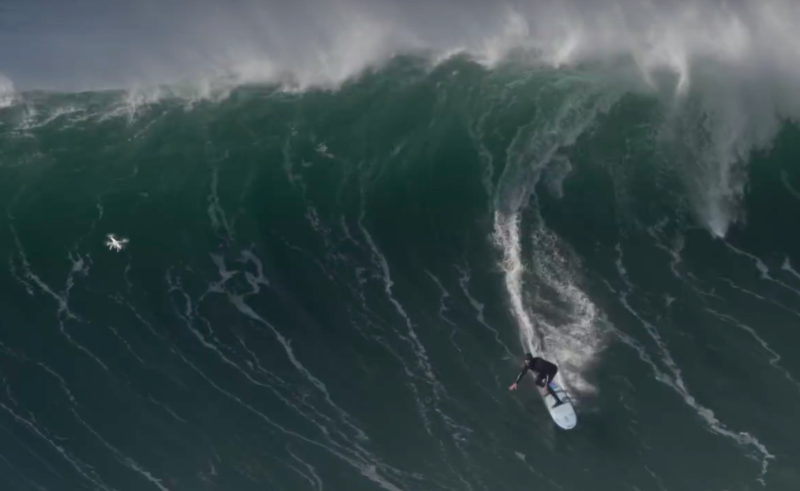 Grant “Twiggy” Baker who won the contest scored his share of bombs and even attracted a flock of drones (01:11) in one of his main waves.